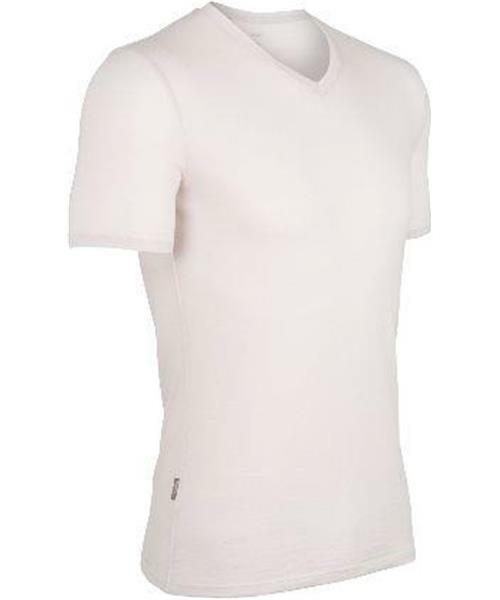 Think of the Men's Anatomica Short Sleeve V-neck as a baselayer that doubles as a really nice casual tee shirt for almost any occasion. Made from our lightweight, 150g jersey merino with a touch of LYCRA®, this tee delivers outstanding breathability and thermal regulation, so you can wear it alone in warm weather, under a top or layer in cooler conditions, and as a baselayer in winter sports. And with merino's natural odor prevention, it will replace several shirts in your travel bag.